Exploring the Grandeur of Humen Town! 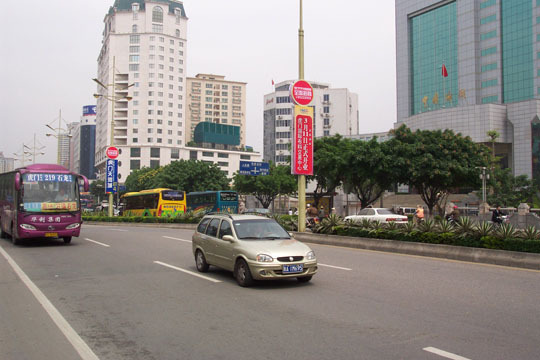 Here's how to get to Humen Town Guangdong China from Hong Kong and vice-versa. Based along the southerly coast of China, Humen Town is in a great location for tourists looking to experience some extensive exploration during their holiday. The town borders with the city of Dongguan and a little further along the coast you can find the huge city of Hong Kong. There is plenty within Humen to do, but the easy to reach alternatives make visits to this region of China a fantastic experience. An added bonus to your holiday to Humen Town is that after the 12 hour flight you will have a relatively short journey from the airport. The town is only a few miles from Shenzhen International Airport and there are regular shuttles to hop on as well as taxi services readily available. China is steeped in history in every corner of the nation and Humen Town is no different in this respect. Perhaps the most renowned event in the town's history is its connection the First Option War (First Anglo-Chinese War) which occurred in China between 1839 and 1842. During this war the United Kingdom and the Qing Dynasty fought over trading rights for various products. In 1839 an official from the Qing Dynasty seized a large amount of opium that was set to be exported but had it destroyed. Many battles were fought in Humen and just off the coast. The many battles that were fought on the sea are a huge part of the town's history and you can dive deep into it by visiting the Sea Battle Museum, found under the Pearl River Bridge. There you will be able to learn great facts about ancient warfare and the many battles that occurred in the far reaches of the Pearl River. Forts: Weiyuan, Zhenyuan, Eyi, Shajiao and Jingyuan. Of course Humen Town isn't all about war and there are other elements which make the area compelling and unique. The beauty of the nation's flora and fauna can be appreciated within the realm of Keyuan Garden which is known to be built in the mid 19th century courtesy of the Qing Dynasty. Heading outside of the town for a day is another popular choice for tourists. Make your way north to Dongguan City and you find a sports stadium, a water park and an exhibition centre which attracts businesses worldwide. A great idea to find out what's going on in the city during your visit is to buy an edition of Here Dongguan which is a tourist magazine written in English. Heading south of Humen Town you can't help but come across Hong Kong, there you will find a whole host of wonders that may take more than just one day to enjoy. Visit museums and nature parks or divulge in something livelier such as Hong Kong Disneyland Resort. There are various methods of transport to Hong Kong from Humen Town, but organised tours are the recommended option to take. The weather is at its best during the summer months, as you may expect, with daily highs reaching over 30°C from May up until October. The length of good weather during the course of the year makes it much easier for tourists to pick the right time to take a visit, especially those travelling with families. The winter months are typically colder, however the temperatures rarely drop below 0°C which is ideal if you are looking to enjoy the Chinese New Year in late January. There are plenty of rated hotels in Humen, mainly around the 3 star mark, as well as apartments to choose from. There is enough accommodation to choose from to ensure you get the right place to enjoy a good night's sleep between busy days of exploring. Even if you weren't considering visiting Humen Town and instead we're looking for cheap accommodation close to the likes of Dongguan, Shenzhen and Hong Kong then Humen Town is becomes a useful place to stay. Evening if you are only staying Humen you will find it hard to ignore the charm of the small town. Since Humen is located on the east bank of the Pearl River Delta, a ferry service connects Humen Town directly to Hong Kong International Airport (HKIA) and to China-Hong Kong Ferry Terminal. Humen is also served by regular bus routes traveling from Guangzhou to Window of the World, from where it is possible to keep traveling south to Hong Kong by taking a bus or by Shenzhen Metro train. * Dong Guan Hu Men passenger port is situated at the Humen town, Dong Guan City, Guangdong, China. It is a sea transport center linking Pearl River Delta and Guangdong, Hong Kong and Macau. Sailing time: About 60 minutes. 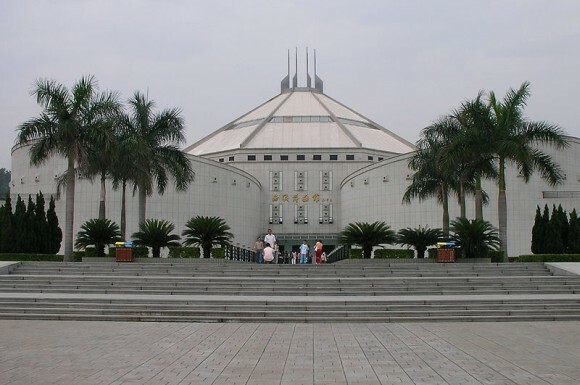 Shenzhen is also an interested place to go other than Humen town Guangdong, China. Daisy Haydon is an adventure seeker, avid traveler, and someone who has been all around the world, from Australia to Honk Kong. One of her favorite destinations are the beaches of Oahu, besides the beaches...Hawaii itself is paradise, for this reason she has chosen to write up a guide for would be Hawaii travelers. Please visit the Hawaii Vacation Guide to learn more about the Hawaiian islands themselves.